When Disney purchased Star Wars, a lot of the projects that were in the works were placed on hold, and some other projects were revived. One of the many projects that people have been curious about was the new Star Wars Detours comedy. It kind of just fell off the list of exciting things coming out, but Seth Green recently spoke to Movies.com about the show and I guess it’s not off the menu just yet. So not only is the show still on, looks like they are planning to bring out more than just a short series. Seth also said that the humor that is placed in the show will still be as funny as if they were to release it now. 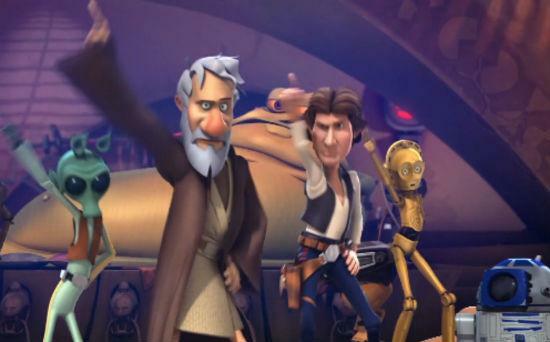 We all remember Robot Chicken, so Star Wars fans can look forward to more classic parodies. Next Next post: UPDATE: Star Wars: Episode VII Production Heading to New Mexico?